Well let’s begin with a short history about you. Name, age (if you’re okay with it) and your journey as a fashion designer where did it all begin? My name is shahbaaz sayed I’m 21 years of age, and my journey in the fashion industry began when I was 18 years old and I joined this modelling/talent agency in Dar es salaam where I took the time to understand and learn a few tricks about the fashion industry. I had to do my research before I dive into the fashion world and being in the industry at a very young age had its own advantage, everyone around me was very supportive rather than seeing me as a competition and through them got to learn so much. I Started my journey as a designer by competing in various competition platforms to showcase my talents and learn a few things; I competed in Bongo Style Competition by FASDO in 2015 and made it to the finals and won the best personality awards, after that I started to showcase my designs in small events which helped me build my brand. In 2016 I competed and won the Swahili Fashion Week Emerging Designers Competition which lead me to showcase my very first collection in the 10th annual Swahili Fashion Week. 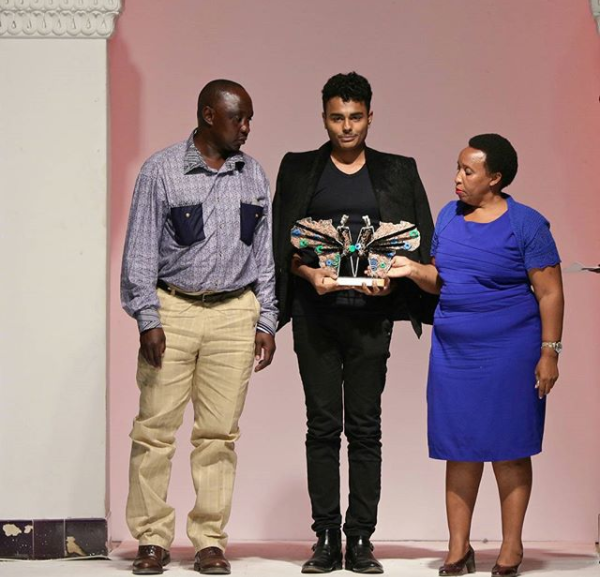 You’ve showcased at the Swahili Fashion Week for how long? And how’s the experience of it all so far? This is year is my very first showcase in Swahili Fashion week as an established designer however I have been in the platform before for the emerging designer’s competition which was such an amazing experience, I could say that after winning the award my life had changed forever and something big was on its way to come. Your collection this year, what’s the inspiration behind it all as black was all over? And what the name of your collection? 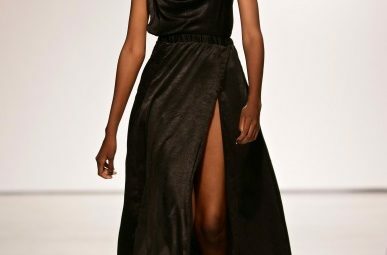 The name of my collection is “Black Affair” by Shahbaaz sayed. As my very first collection as an upcoming designer I wanted to make a statement that reflects my brand and also to set a bar for my future collections to come. so, this year I wanted to do a classy kind of theme which the brand is all about and chose the color black to convey my message. What fabrics and materials were used in the making of your collection? How long did it take and any difficulties along the way? So as per the theme, which was classic Black is what guided me in the selection of fabric. I used a wide of range of black materials which just translated classy to me and making the whole collection took me about 3 weeks from the initial ideas to the final looks. I did face one problem along the way; as a startup designer I had a very limited budget which I had to work with in making my collection so that at some point it hindered my creativity and going wild with my designs. But at the end I tried to be resourceful and am happy that it turned out to be amazing at the end. What celebrities do you see them rocking your collection and whom do you aspire to dress? While designing I always find quite place put on some head phones and listen to my playlist and that’s my creative juices run. I imagine dressing all these celebrities in their music videos most of them include lady gaga, Beyoncé, Rihanna and Taylor swift. Working with them would be like a dream come true and I’m working my way towards it. 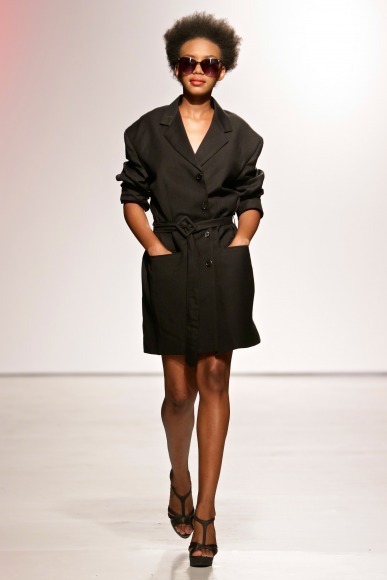 Where do you see the Tanzanian fashion industry and your brand in 10 years to come? 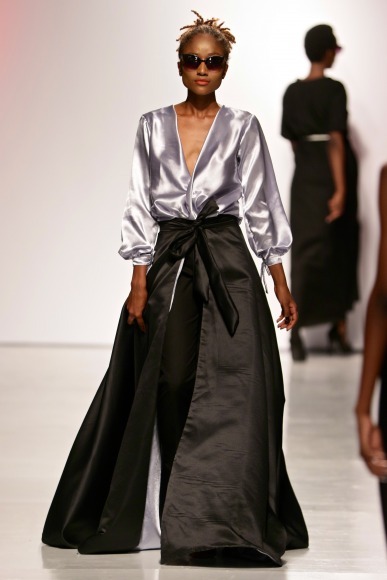 Any chances of Tanzanian designers in hitting international runways? I believe that my brand after 10 years is going to be international, just a year ago I was expecting a very slow start to my brand but things have just been sky rocketing and things I was expecting to planned have in the next 3 years I have achieved it already in just few months and that just keeps on pushing me to keep going and cant wait to see where the brand goes and hitting international runways are just few inches away and will be getting there in no time. For those needing to contact you for business, where are your offices located? And what are your social media handles? For now, I’m working from home since I wasn’t committed full time in building the brand this year because I had to wait to graduated from high school but I’m in the process of expanding my business, very soon I’ll be opening my own production unit and a very small studio to start with and will be hitting it off from there. Any advice to the kids out there with dreams of working in the fashion industry, does and don’ts? Its never to early or late to follow your dreams, keep pushing yourself because inspiration and passion exists but it has to find you working hard for it.